Who wants cashless shopping? I think all of us wants that, I was so happy because in the last day of Mega Sale at Filinvest Tent in Filinvest City, Alabang Muntinlupa City, me and my friend decided to go shopping and to buy what's on sale but the problem is you have to pay for an entrance fee. Good thing that I am one of the GCash MasterCard holder and one of the privilege is I am free for the entrance fee, I've just presented my GCash MasterCard to one of the event staff. 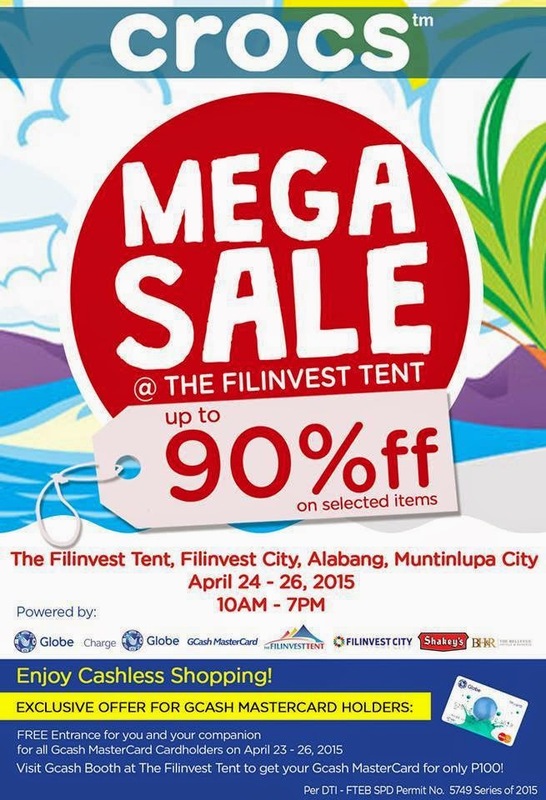 The mega sale was powered by Globe, Globe GCash MasterCard, Filinvest City and a lot more. So what's on sale? If you are shoes, sandals and slippers lover you will be happy because Crocs are on sale up to 90% on selected items. 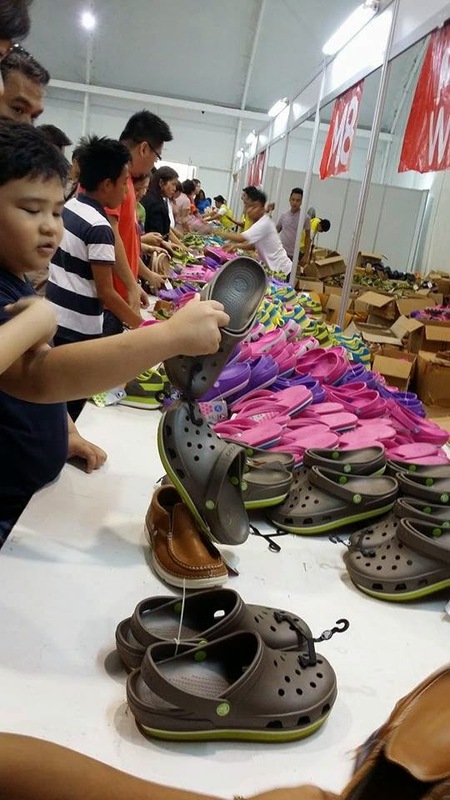 Here is the infomercial about Crocs Mega Sale 2015. More shoes, sandals and slippers to choose. And because GCash MasterCard is part of this event, whatever you want to buy you can pay it using your GCash MasterCard. 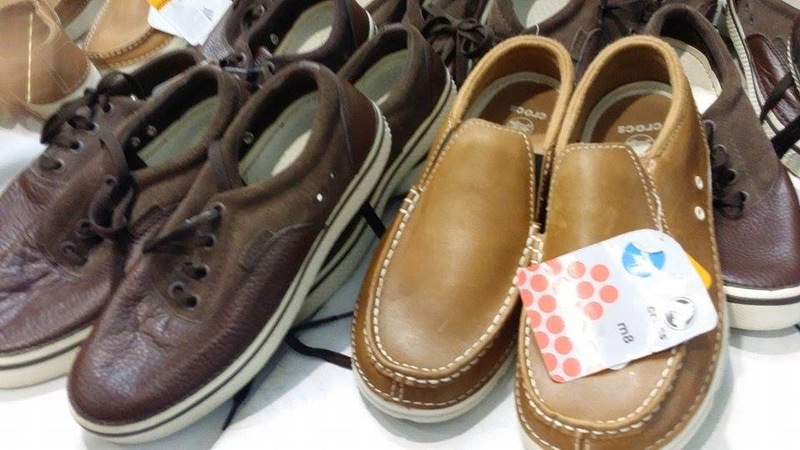 So what we did is we’ve started to search for the Crocs items that will fit in our sizes and pay using my GCash Mastercard. I am very happy that GCash MasterCard became part of my daily living in terms of cashless shopping. My shopping experience becomes easier and more convenient. 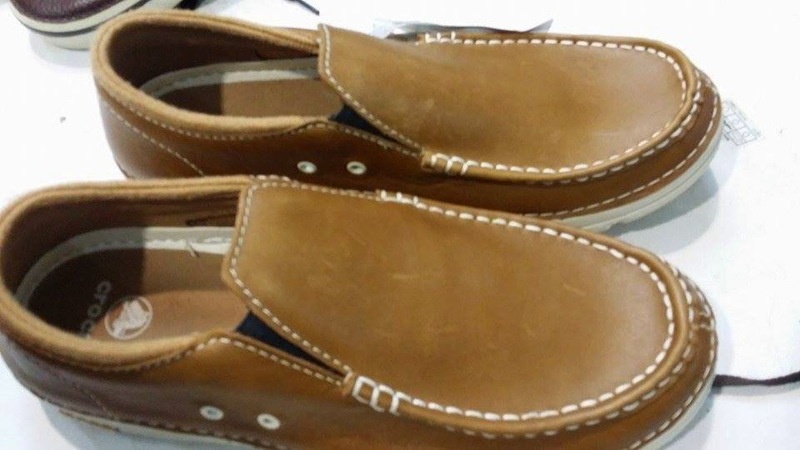 The pair of shoes that I bought using my GCash MasterCard from Crocs. So what are you waiting for? Get your GCash MasterCard and it is so easy to apply, to activate and to use. To give you an idea what is GCash MasterCard, it is a type of GCash card with a MasterCard logo that is linked to your GCash wallet. It lets you shop securely from partner establishments that accept MasterCard as a mode of payment. Here are the steps on how shoppers applied for their Gcash MasterCard for only 100 pesos. You just have to personally submit the completely filled-out GCash service form and your valid ID at the event booth. Don't forget that customers below 7 years old will not be able to get their GCash MasterCard. For customers 7 years old to 18 years old, their guardian's written consent should be attached as a requirement. Your GCash MasterCard will be released once you've submitted all the requirements. You will be able to fully use the card 24 hours after activation once all the information and requirements are verified. To use, you can use your GCash MasterCard to withdraw from any ATM nationwide and MasterCard-accepting ATMS worldwide, or use it to pay for items via POS from 33 million MasterCard Merchants worldwide, just present you card. To reload, because GCash MasterCard is linked in your GCash Wallet, you can reload in any GCash Outlets, Mobile Banking, Online Bank Transfer and other Bancnet ATMS.